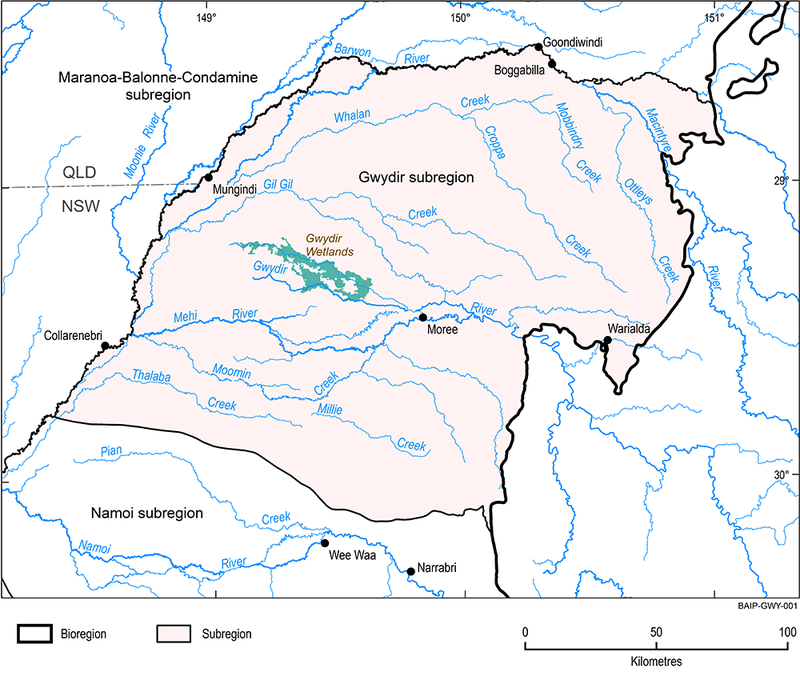 This bioregional assessment helps us understand how coal seam gas and coal mining development could affect water resources and water-dependent assets in the Gwydir subregion. The bioregional assessment found that there is limited potential for coal resource development in the Gwydir subregion. As a result, coal mining and coal seam gas extraction is unlikely to affect water resources and water-dependent assets in the subregion. 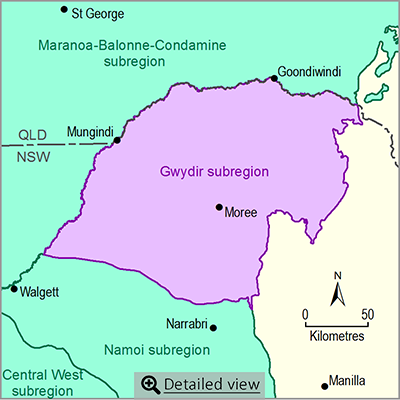 The Gwydir subregion is part of the Northern Inland Catchments bioregion. The subregion is entirely within the Murray–Darling Basin. Moree is the largest town and the main rivers are the Gwydir and Macintyre-Barwon rivers. The subregion extends westward from the lower slopes of the New England Tablelands onto the low-lying riverine plains of the Barwon-Darling river system. It contains seasonal, semi-permanent and permanent lagoons, including the internationally recognised and protected Gwydir Wetlands.